Reception House has been steadfastly preparing to welcome over 200 refugees over the holidays. Amidst this busy period, we take the time to look back on the year, reflect and listen to the stories of our former clients, now out in the community. To learn more about what’s been keeping us busy, as well as an announcement of our new office location (that’s right, we’re moving! 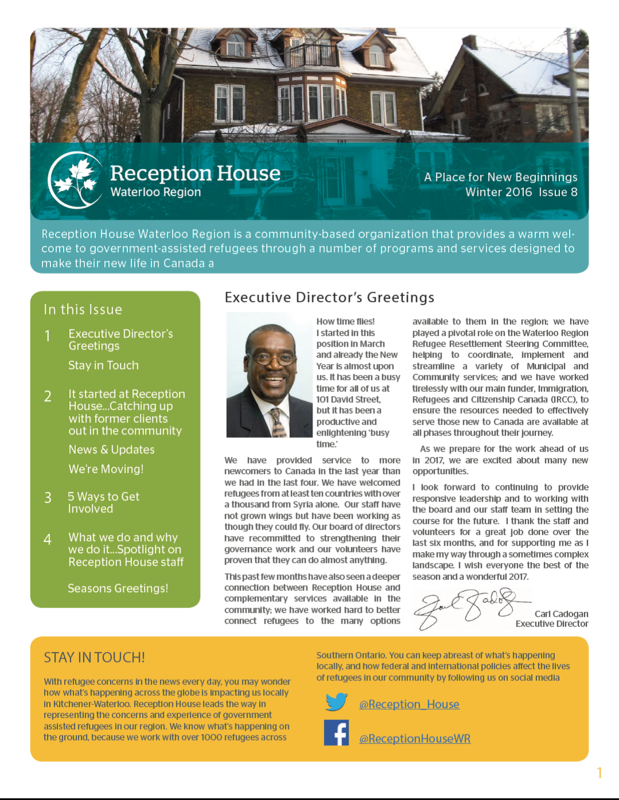 ), read and share our newsletter here.